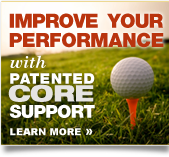 Jox™ Core Support Shorts were invented by Jimmy Arsenault who had suffered from lower back pain for many years. While aching on the golf course one day, Jimmy imagined a product that would support his lower back, provide compression to his core, and have the ability to use hot and cold therapy at the same time. Jimmy was introduced to Dr. Vijay Vad, an Assistant Professor of Rehabilitation Medicine at the Weill Cornell Medical College and a Physiatrist at the Hospital for Special Surgery in New York City. The two of them soon developed a prototype for Jox™ and shortly thereafter patented Jox™ Core Support Shorts as the only product to provide support, compression, and the ability to use hot and cold therapy. Jox™ Core Support Shorts contain a Core Support System™ which supports the abdomen and entire core. 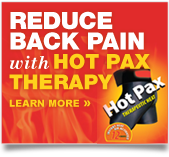 In the back of the Core Support SystemTM is a pouch which holds Jox™ Hot Pax and Cold Pax which direct hot and cold therapy directly to the area of the back that experiences the most wear and tear during physical activity. These features make Jox™ Core Support Shorts the only product that combines core support, compression, and hot and cold therapy. 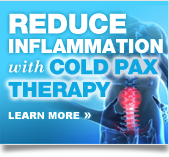 For our customers, this means that Jox provides relief of minor aches and pains while providing strength and support to the entire body.